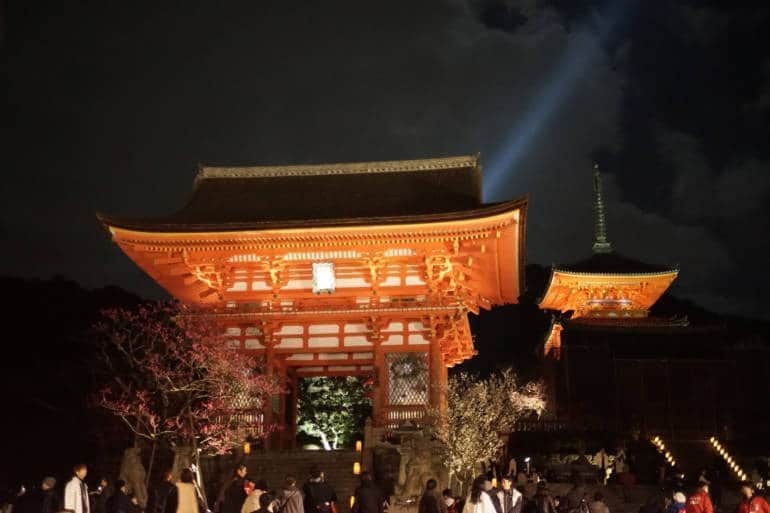 A fantastic chance to explore the atmospheric streets of Higashiyama with soft illuminations – this even takes play in March as it Spring arrives. The 5km route passes Shorenin Temple, Yasaka Shrine, Entokuin Temple, and Hokanji Temple among others, before ending at Kiyomizudera Temple. There are events along the route as well as lanterns, including the Ikebana promenade, Dedication dance of the apprentice Geiko (Maiko) and a dance by the fire watch and Oyahashi music group. The Geisha will dance at Yasaka shrine, at the Kagura Hall.